Netflix is reportedly hinting at the arrival of a streaming app for the iPhone by asking subscribers whether they're interested, just like the company did for the Wii and Playstation 3. It's about time. Hacking Netflix reports that a reader leaked one of the company's surveys on the matter, which describes the potential service in detail. iPhone owners could watch movies and television shows instantly, without advertisements. Movies would take less than 30 seconds to load, and there would be no additional fee beyond a regular Netflix subscription. On the downside, the streaming Netflix app would only work over Wi-Fi, but it's better than nothing. Netflix had sent out similar surveys for the Wii and Playstation 3 last summer. These surveys, like the one for the iPhone, weren't vague in explaining how the service would work. Streaming-enabled discs, as described in the surveys, shipped for the PS3 last November, and Wii owners are getting their Netflix discs this spring. Thing is, Netflix has finally nailed television ubiquity. It'll soon be on all three game consoles. Blu-ray players from LG, Insignia, Sony and Samsung support it, as do TVs from LG, Sony and Vizio. You can watch Netflix through TiVo or get a standalone Roku box. 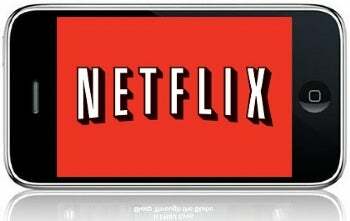 Netflix has done enough in television to move on to mobile. I don't know how easy it'll be to get onto the iPhone or other mobile devices. If the movie and television industries work at all like music, I'm guessing Netflix will need to negotiate with studios (see Napster's explanation about needing the rights to release a streaming music app for the iPhone). But this survey, if valid, shows that Netflix at least thinks a streaming app is possible.